Even though Google Drive doesn’t support Markdown, there are a few markdown editors for Google Drive that will improve your Drive/Markdown relationship. You cannot use markdown in WordPress, as it doesn’t come with native markdown support. Luckily there are plugins you can use to add markdown functionality to WordPress. Letterspace is a light note-taking and organizing app for Mac and iOS. It supports Markdown and can export to multiple formats. Here’s how it works. If you want to use the Markdown syntax for your web documents, we have created a cheatsheet that can help you learn and understand the syntax. Check it out. Loose Leaves for Mac lets you generate a unique web page from highlighted Markdown text & gives you complete control over the content. Here’s how to use it. Writage, a plugin for writing Markdown in Microsoft Word, is perfect if you prefer Word’s rich interface & features, but is it the best option? Let’s find out. 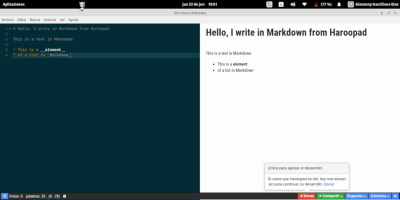 There are numerous tools for writing in Markdown via the web. 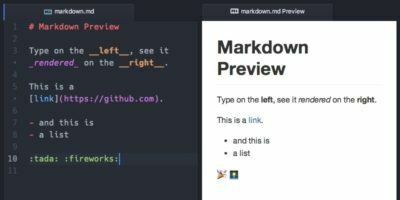 We’ll be taking a look at some of the best markdown editor for web. Read on for more detail. You don’t have to stick with a simple text editor, or a full office suite for your writing needs. Uber Writer is a markdown application to improve your writing efficiency. We have shown you how to use Markdown to quickly produce clean HTML from text, but what if you also want to produce an ebook using the same content as you have on the web? There is another tool that allows you to take Markdown and turn it into OpenOffice/LibreOffice documents, PDF’s, or even e-books suitable for a Kindle or other e-reader. When it comes to writing, it is great to always create the draft in plain text. The problem lies when you need to transform those plain-text words into something nicely-formatted and readable. Fortunately, Linux provides two programs that allow you to draft in plain text, then convert to other, more graphical formats.